Australia vs India 3rd Test Melbourne: India's opening has been a serious matter of concern and with Prithvi Shaw getting ruled out of the series. Australia vs India 3rd Test Melbourne: India’s opening has been a serious matter of concern and with Prithvi Shaw getting ruled out of the series, it becomes even tougher for the captain Virat Kohli to choose the best combination against the hosts Australia for the Boxing Day Test which will start from December 26 as the opening pair of Murali Vijay and KL Rahul have failed. Rahul has scored 48 runs in four innings whereas Vijay has bettered it by a run. Moreover, the case becomes iffier for the team as India’s both frontline spinners Ravichandran Ashwin and Ravindra Jadeja are under fitness scanner. On Sunday morning head coach Ravi Shastri revealed that Jadeja is suffering from the shoulder stiffness, since the time he was playing Ranji Trophy and was given injections even after landing in Australia. There have been many predictions going on among the cricket purists and fans who lashed out at Shastri for picking Jadeja in the 13-man squad picked for Perth and despite having an injury fielded for most parts of the Australian second innings. Now, it seemed like more questions have arisen than answers during Shastri’s presser. Former coach Anil Kumble has picked his playing XI for the Boxing Day Test. While speaking to CricketNext, Kumble drew attention towards the young guns that how Prithvi Shaw, Rishabh Pant and Hanuma Vihari are making their mark at the International level and believes Mayank Agarwal should be given the opportunity, which he deserves since a long time. 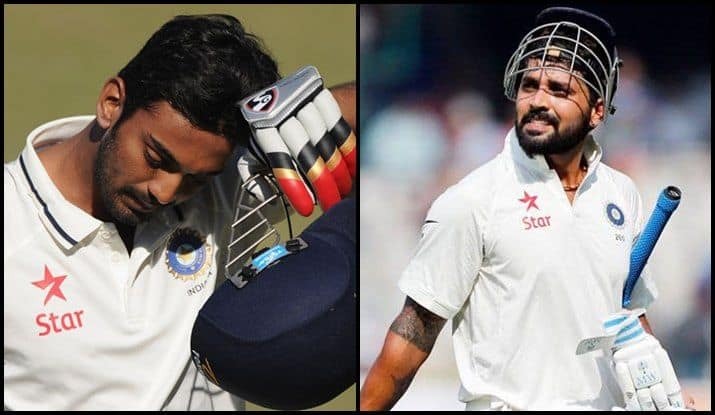 He also suggested Murali Vijay and KL Rahul should be dropped and Vihari should open with Agarwal, as he has got a solid technique and could give a solid start to India and Hanuma Vihari has shown he has a sound temperament to count the lively pitches in Australia. Kumble has also gone in for two spinners for the Test, he has picked both Ravichandran Ashwin and Ravindra Jadeja which is very different to how Virat Kohli has been thinking. Will, the former coach’s word be implemented by his successor Ravi Shastri, or will Kohli’s verdict be the last word on the subject? The answers will be unlocked in 72 hours time approximately. Playing XI for the third Test: Mayank Agarwal, Hanuma Vihari, Cheteshwar Pujara, Virat Kohli (c), Ajinkya Rahane, Rishabh Pant (wk), Ravi Ashwin, Ravindra Jadeja, Mohammed Shami, Ishant Sharma, Jasprit Bumrah.